The Weeknd, Wost, David Banner ft. Lil Flip, DMX, Danilo and more. This show was 55th in the global bass chart. 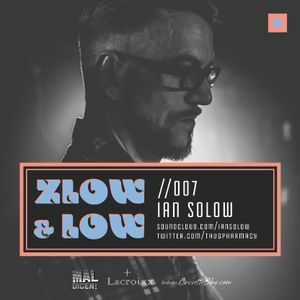 When French artist Ian Solow did a mixtape for Lacroixx 2 years ago we knew that he need to come back sooner or later. Here he is again with another infections set mix for this Summer. Check his words. "I made this mixtape in the same spirit as my guest mix for Lacroixx, close the gap between Zouk Bass and the Rasterinha, with influences of R&B and Hip Hop, but I was not going to redo the same thing so I tried to make the listener travel the four corners of the world in four corners of my mix. Zouk, Funk, Rasterinha all chopped and screwed, slow down… Keep wining." Thank you for your music!! !